All the latest Liverpool news in one place. 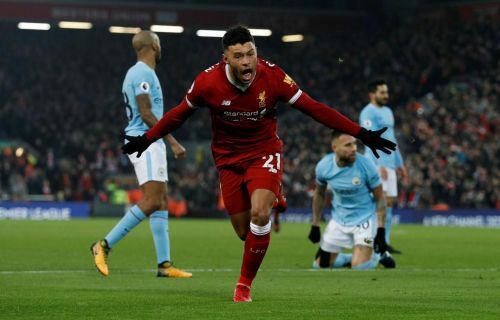 Liverpool midfielder Alex Oxlade-Chamberlain is eyeing to make his comeback before the end of this season. The English international ruptured his left knee when he attempted a sliding tackle against AS Roma in the Champions League Semi-final. He looked totally reinvigorated under Klopp's method during the second part of last season. “I'd love to be able to make an appearance at least before the end of the season. The next target for me is to build up more in the gym towards being able to run outside again. I'll probably have to do two months of running which isn't my favourite thing. Trent Alexander-Arnold, who made his debut for Liverpool under Jurgen Klopp has highly spoken about the German. The full-back who has made the right flank his from last season is one of the integral players in the Liverpool squad right now. The 20-year-old is one of the few contenders for the golden boy award. “He demands a lot from his players and that’s why he’s had a lot of success throughout his career. We’ve all bought into the ideas that he’s brought into the team. I think with the right mentality the team can go a long way and with the mindset that he’s brought we’ve pushed forward over the past three years and I’m sure we can move even further ahead in the next few years. There were several eyebrows raised when Liverpool decided to pursue a deal for Sadio Mane. Only Jurgen Klopp believed the talent which the Senegal International possessed when the Reds signed him for £34 million from Southampton in 2016. Fast forward, the Liverpool forward has scored 40 goals and has assisted his teammates on 18 occasions in 87 appearances. "Since he came in he helped the team so much, he improved so much. He is an outstanding offensive player. If you ask me if he is a striker, yes, from time to time; is he a midfielder, yes, from time to time; he can probably play a slightly deeper position as well – we don’t have to play him there because we have other players there but he could play it as well." "He is physically strong, technically strong, he is unbelievably quick, he is quick in mind as well, and he is a good shooter with both feet. That makes a good player and he is a fantastic person. He needed more confidence when he came in, the start was really good but I think he was a bit surprised by himself." "Everything was good until the first time his shape dropped a little bit and then he struggled a bit with that, because he needed to get used to that he is a world-class player. Now, he knows that much better. That helps us. He is a really good player." Klopp said.